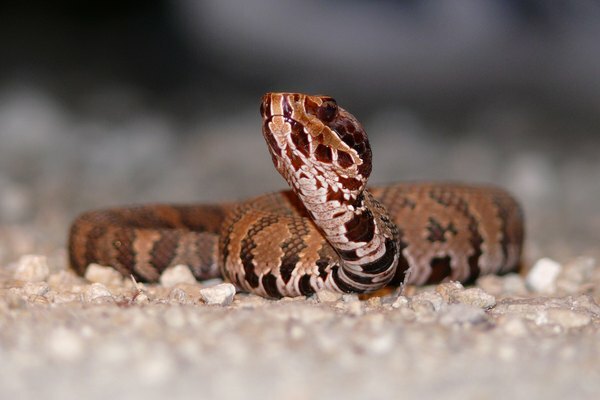 Water snakes are often mistaken for water moccasins, also called cottonmouths, but since one is harmless and the other dangerous because of its highly venomous bite, knowing the difference is important. 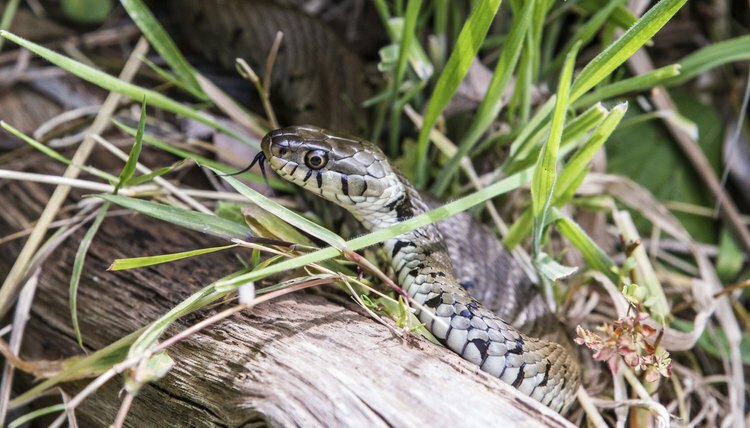 Both snakes are often found on or near the water, and both can display aggressive behavior if trapped. Both are dark-colored. 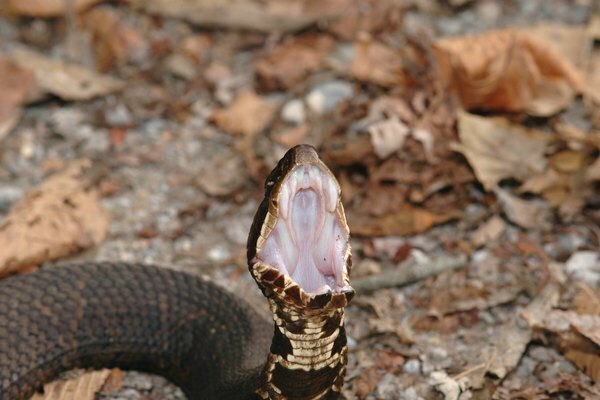 The water moccasin is sometimes called a cottonmouth because of its way of opening its jaws very wide as a warning, revealing the white inside its mouth. 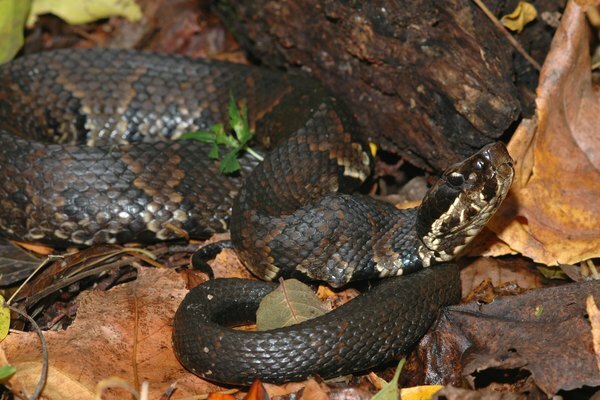 The water moccasin, like most venomous snakes, has a large triangular-shaped head, giving the appearance of a neck between the head and body, and has long fangs. 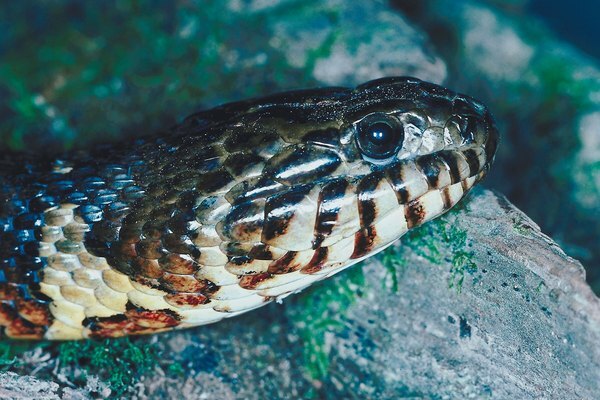 The water snake, like most non-venomous snakes, has a broader shaped head with no distinct neck between the head and body, and no long fangs. Water moccasins have thicker bodies, and water snakes have more slender bodies. The eyes of the water moccasins are elliptical and vertical, like a cat’s eye, and the water snake has round pupils. 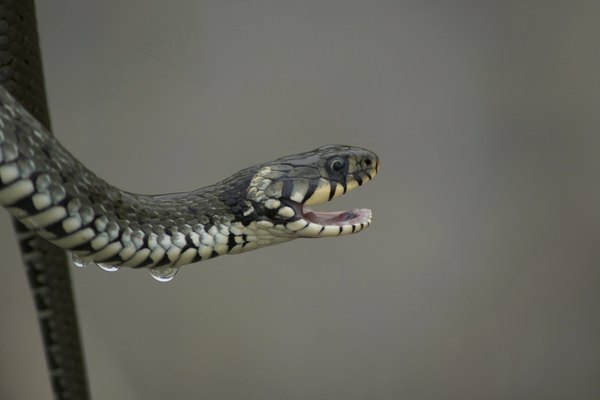 Water moccasins have a heat-sensing pit located between the eye and nostril, and water snakes do not. University of Florida: Water Snake or Moccasin? Jacqueline Lynch has published articles and photographs in national and regional magazines on history, including "Civil War Times," "Blue and Gray" and Suite101.com; and is a published playwright whose plays have been performed around the United States, Canada, and Europe. A former magazine assistant editor and newspaper columnist, she currently freelances.